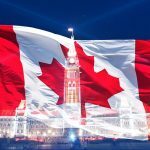 Enjoying your favorite foods, with your favorite drinks is always special, however when these favorite stuff comes with an extraordinary spectacular views, then it has something very special to offer you. 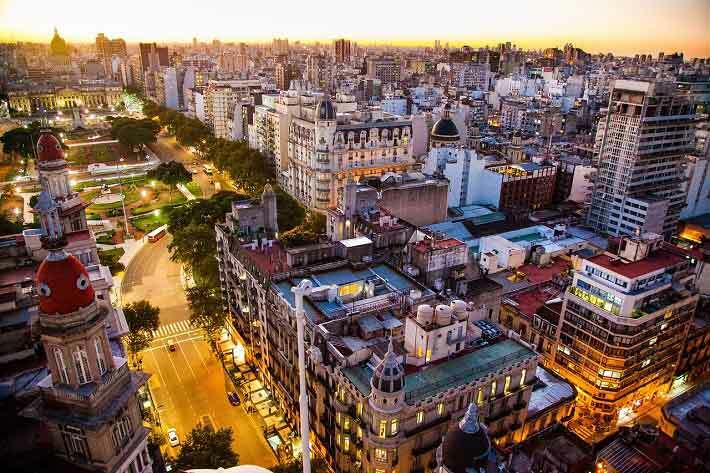 Though some of these rooftop restaurant are quite pricy, nevertheless their astonishing views are always worth every penny. Situated on the Marina Bay Sands, on the 57th floor, this is an extremely high end & happening rooftop party area. 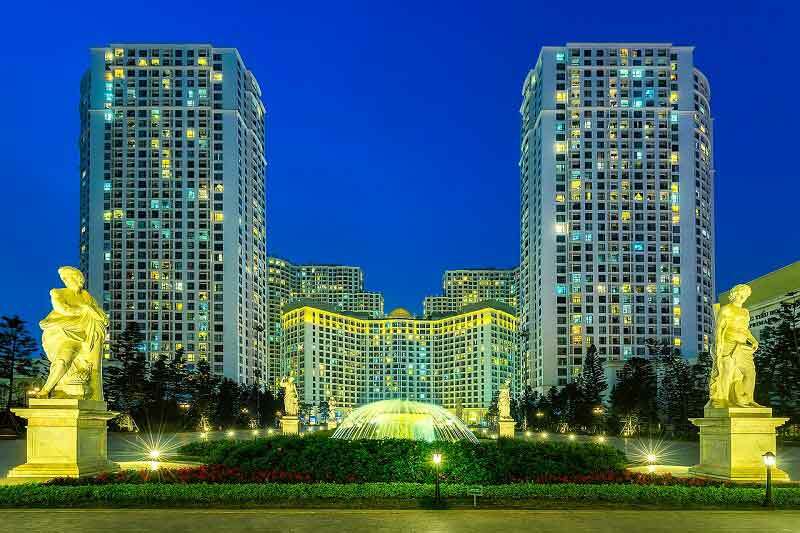 This area is known as architectural landmark of Singapore. 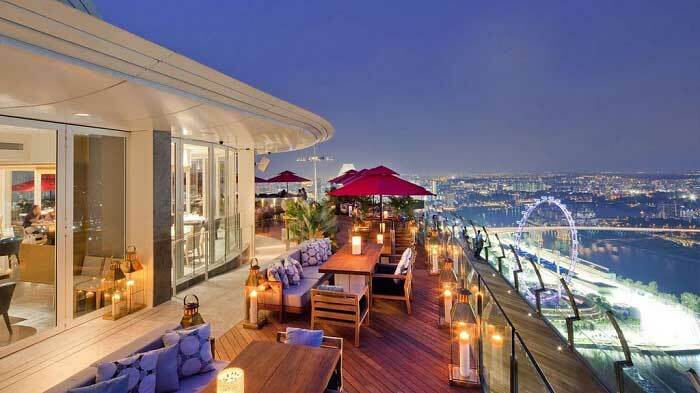 This rooftop bar allows its guest to enjoy the astonishing view of the city as well as their infinity pool. Whether you are enjoying their astonishing laser show or watching sun set with their premium burger, Cé La Vi is definitely the place where you want to be. 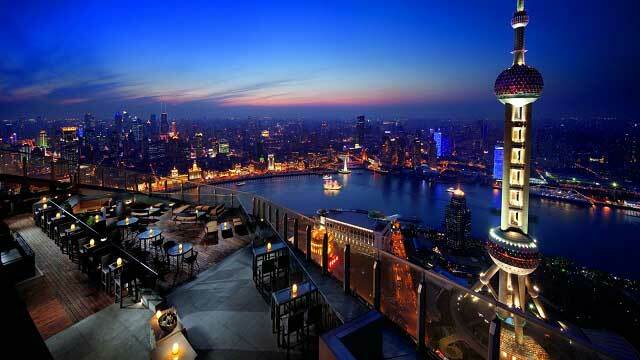 This 58th floor area is the best place to enjoy the ultimate view of city’s skyline along with the Bund & Huangpu River. The skyline is marked by the a blast from the future, the Oriental Pearl Radio and TV Tower. It looks like someone has teleported this building from the future times. One of the highlights of this bar is an cocktail whose menu is a mystery and gets changed very frequently by the renowned mixologist YK Chen. If you are not into drinking that much then you can always opt for an afternoon tea hosted every week Friday to Sunday between 2 pm to 5 pm. 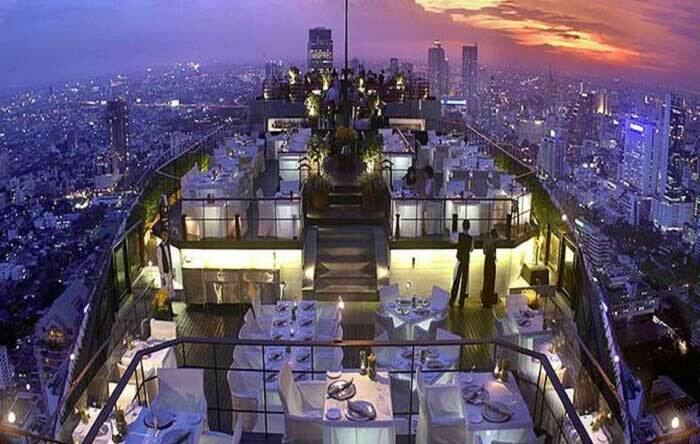 Thailand is popular for its famous sky bars, however nobody gets the x factor more right than the Banyan Tree Bangkok. Sitting on the 61st floor, enjoying the 360 degree spectacular view of Bangkok along with their extraordinary restaurant bar combo is something you need to experience at least once in your lifetime. One of their specialties is Thai Sabai (combination of rice based spirit, national sugar cane, soda water, basil leaves and lime juice). With this new stop, the city got some extra glamorous touch to its name. 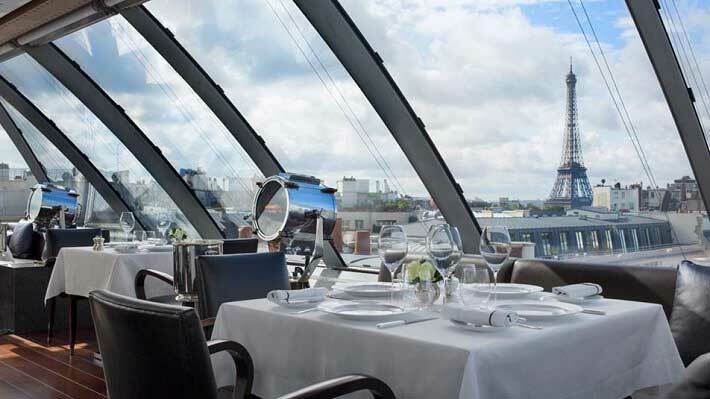 Placed between the beach and city’s yacht harbor, there is an elevator that takes you to this 7th floor rooftop area. This roof top bar is the perfect place for late night relaxation after having those vineyards tours & the day long enjoyment at the beaches. 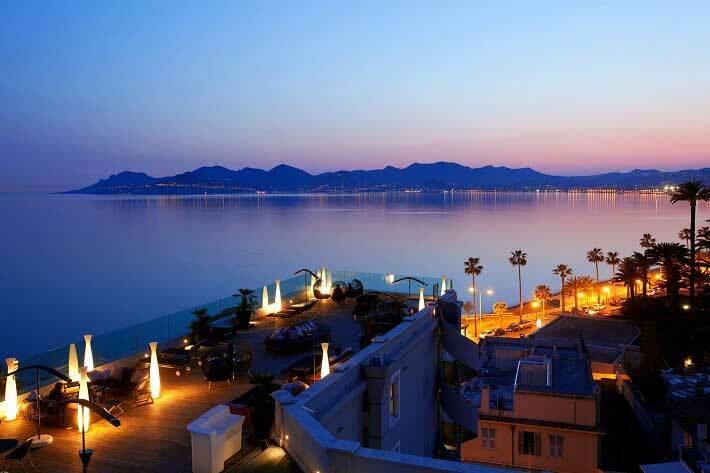 This place offers you the spectacular bird’s eye view of the Bay of Cannes. Plunge, the name is reminiscent with stylist parties and a staggering view of the New York skyline and the Hudson river. 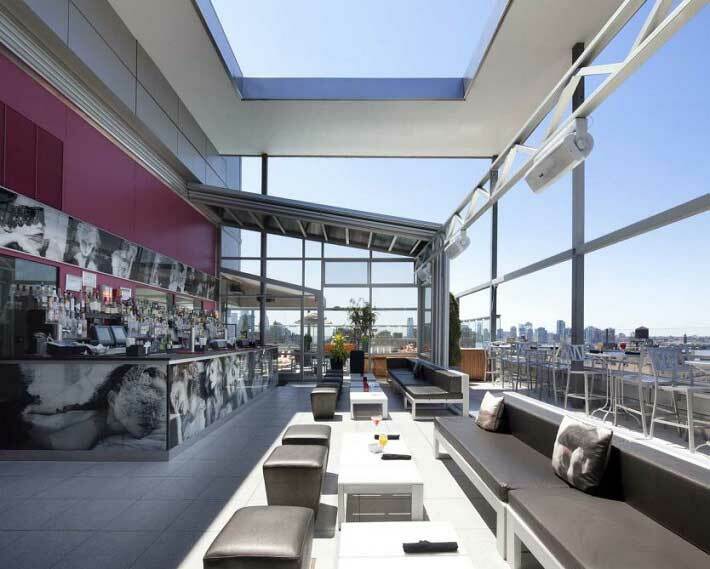 Situated in the 14th floor penthouse of the Gansevoort Hotel located in the Meatpacking district, this is considered to be one of the most bars in New York. It boasts of an outdoor pool and is packed with pretty party loving crowd during the weekends. Given the newly revamped bistro styled menu and the enormous array of drinks, you are bound to have a rocking time. This bar is located on a small secret rooftop of the Casa Gangotena mansion that has been restored recently. 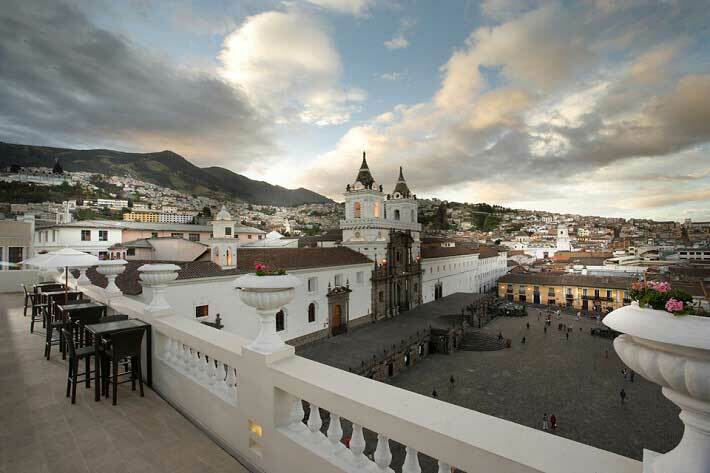 It boast of a magnificent view of the Plaza San Francisco located in the center of the colonial Old Town of Quito which has been recognized as a UNESCO world heritage site. One of the best things in the menu is the Cedrón Spritz. It is beautifully crafted mixture of sparkling wine, lemon, fresh lemon verbena syrup and leaf and run. You can witness the enchanting flow of Ecuador daily life. This famous area is quite popular during summer months, their long queues & long wait times are something that acts as a proof of their popularity. 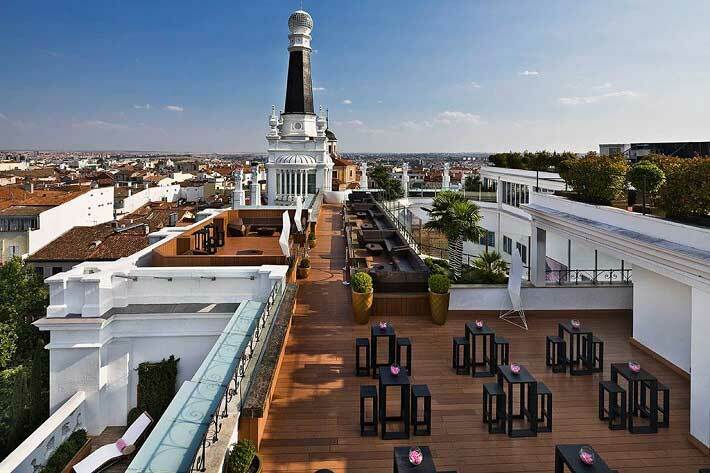 There is a private elevator, which takes you to the penthouse terrace, where you can enjoy the mesmerizing view of the skyline of Madrid. Owned by Cindy Crawford’s husband Rande Gerber, this extraordinary terrace is the ultimate attraction for established locals & various celebrities too. Some other attractions include great guest DJ sessions , daybeds that draw you in and the VIP bar engraved on a stone wall. 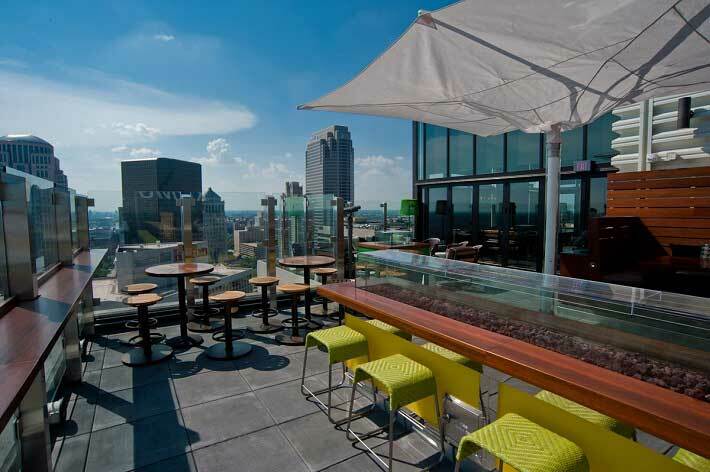 This slick & magnificent rooftop bar is situated in the Ballpark’s Hilton St. Louis. This area offers you with the ultimate view of the Gateway Arch as well as extraordinary view of the Busch Stadium. Among their gourmet options (created by celebrated Chef Rex Hale) the notable ones are Korean BBQ pork tacos, New England Lobster rolls, house smoked salmon chips etc. Among the sweet dishes, Kit Kat bars (which are house made) are quite famous in the city. 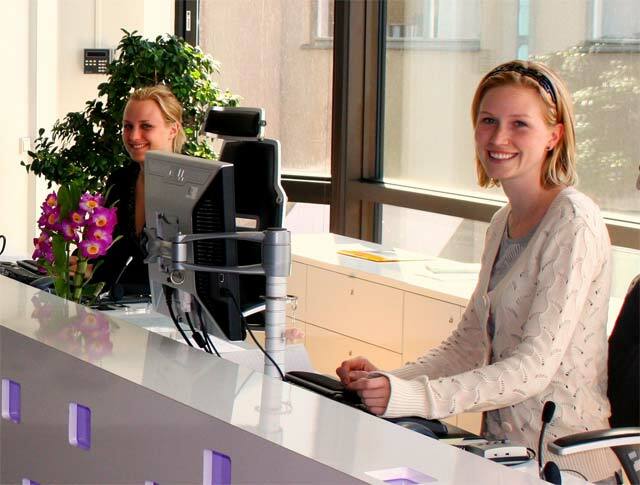 This 6, 000 square foot outdoor as well as indoor year-long enjoyable destination has various options to offer you. 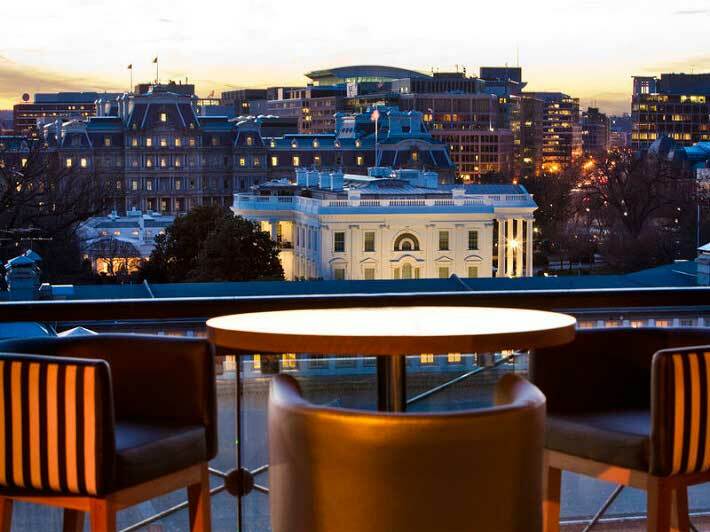 If you are in the mood to see the Washington Monument in all its glory and grandeur, then you must make a pit stop at this hip and happening bar located on the top of the hotel which is stepped in history. This bar boasts of both black wicker chairs and velvet colored banquettes to enjoy the view. However they are all given out on a first come first serve basis. So you need to reach there early, otherwise you will have no other option but to wait for your elevator turn, to reach this 11th floor party area. 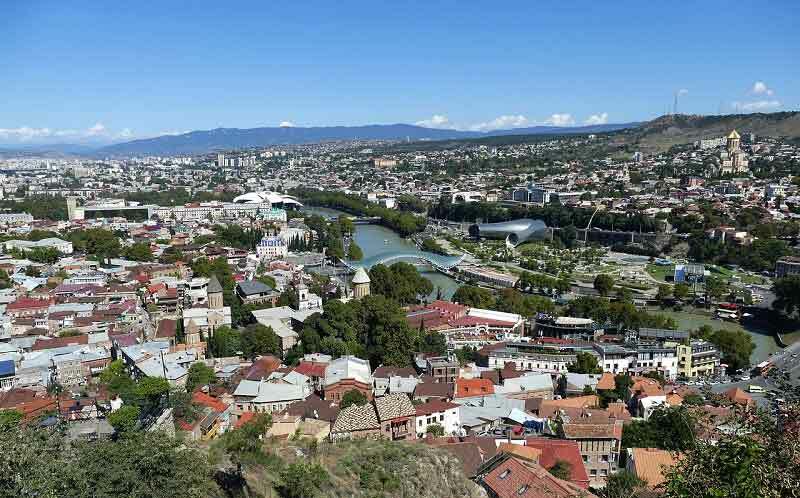 This area is mainly attractive as a proposals spot, for bachelorette parties, and among tourist & for special occasions. However this area allows you to enjoy the uninterrupted views of night time Washington, which is money definitely worth spending. This lounge is a tribute to the city of romance and lights, Paris. This lounge located in the Peninsula Paris, gives you envious views of the Eiffel tower and the famous rooftops of Paris. It has a vintage look and feel and has an aviation themed lounge. The interior boasts of an actual plane and there are cocktails which are a tribute to celebrate French pilots Francois Coli and Charles Nungesser, who undertook the first ever attempt at a trans-Atlantic voyage between Paris and New York aboard the plane L’Oiseau Blanc.